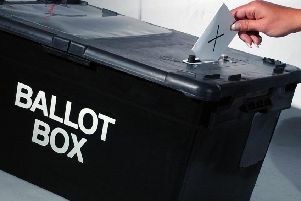 Coningsby’s long-serving district councillor Ray Curtis has died. Coun Curtis was elected to East Lindsey District Council in 1987 and celebrated his 25th anniversary last May. He was chairman of ELDC in 2005-06. Coun Curtis was a passionate supporter of local issues and was a popular and respected figure in Coningbsy and surrounding villages. More recently, he was an outspoken critic of ELDC’s decision to introduce car-parking charges in Coningsby and Tattershall. Coun Curtis also spoke out about what he considered to be the council’s bias towards coastal communities in terms of funding. According to initial reports, he passed away last weekend.